Yes, we are back to; circles, squares and triangles, but this time with colour and letters. Appreciating the learning energy that preschoolers have we are constantly trying to find ways to utilize this time to teach them something tangible. This session was to encourage the kids to learn the letters in their names. 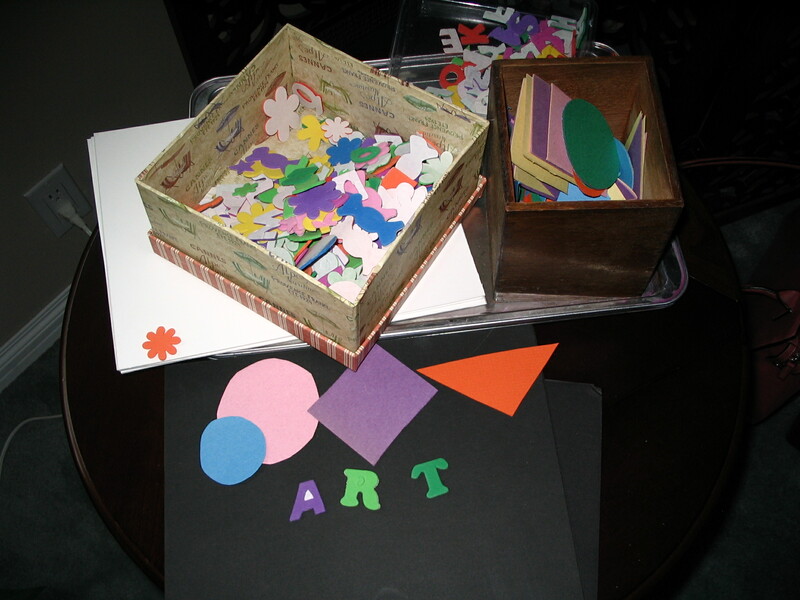 Here we have foam letters and shapes (purchased at the dollar store) and construction paper shapes, along with cookie sheet from the printmaking class but this time used to hold the assortment of shapes and letters. Glue sticks and mat board paper are the only other tools needed. I would call out a shape and the children (ages 3-5) would have to find it in the assorted selection, the colour choice was personal preference. The letter search needed adult assistance but the age number seemed easier for the kids to do. 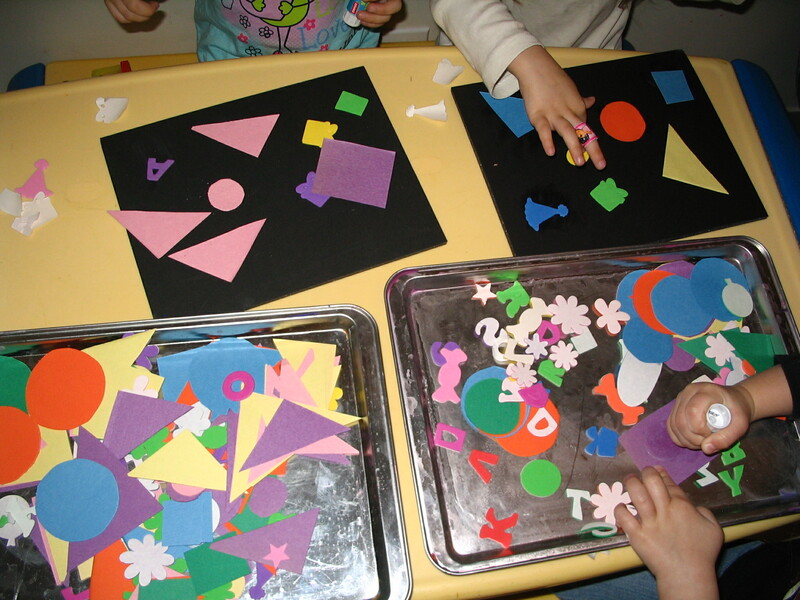 Though the glue sticks were a lot of fun, they understood the peeling off paper on the adhesive letters was just as much fun. Shaking the boards to make sure that all was safely adhered they went onto making things from the shapes, and then finally the letters of their names. Can you decipher the name on this board? It’s a long name, but you can see how old the child is. 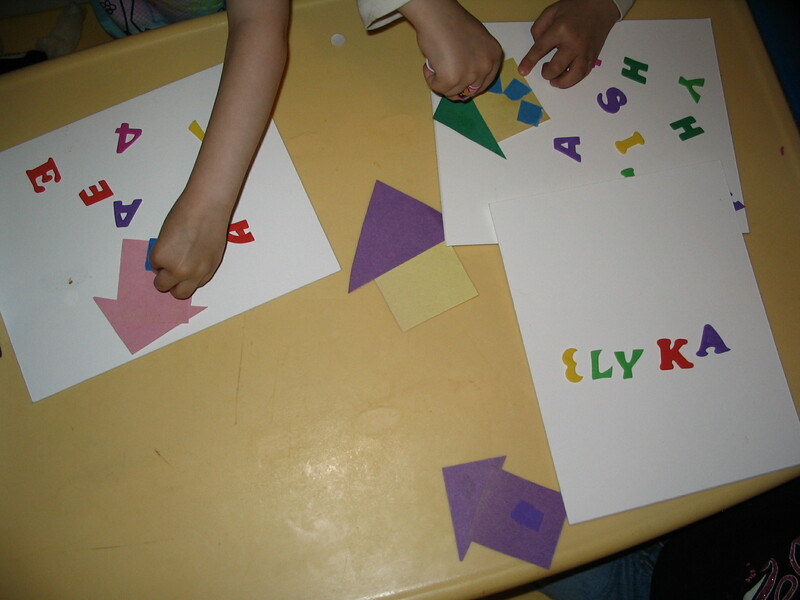 The foam letters were great to use, as they peeled the paper off of the adhesive letter they were able to identify the shape. Here is a little of my own fun. 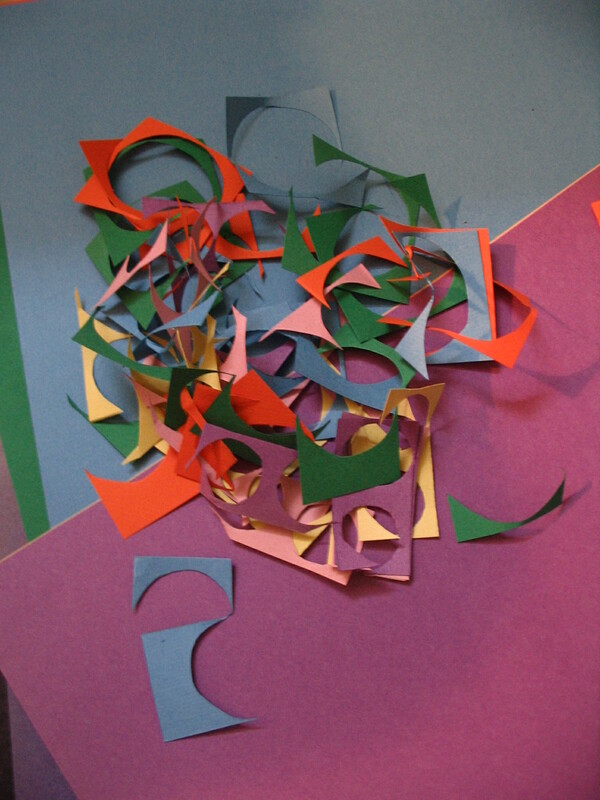 Construction paper trimmings. 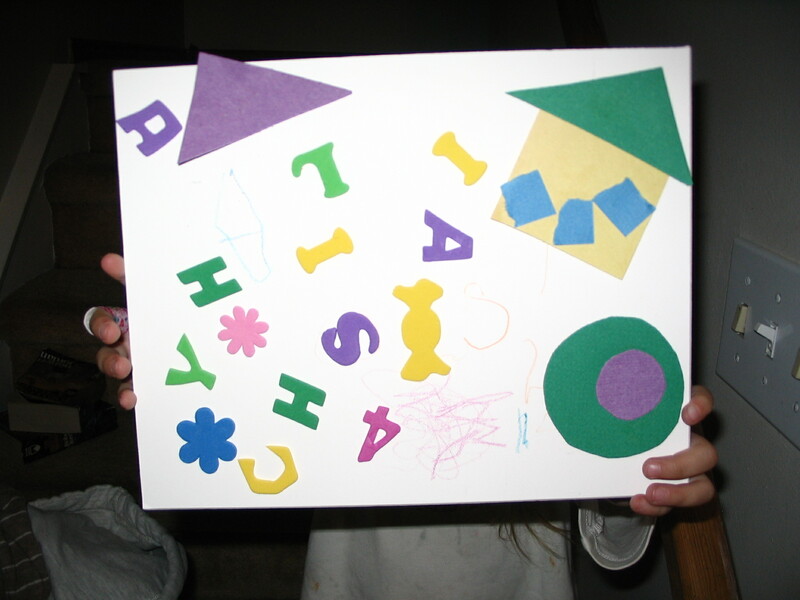 This entry was posted in Art Education for Preschool. Bookmark the permalink.